Stephanie DeGooyer received her Ph.D. in English from Cornell University. 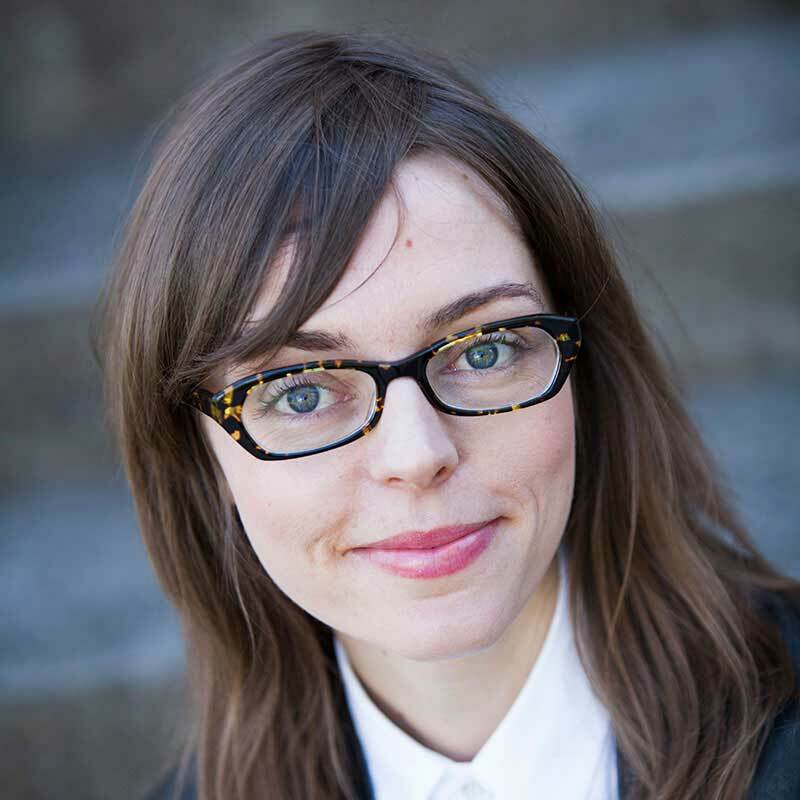 Her research focuses on relations between transatlantic literature, law, and aesthetics, especially with regards to citizenship and immigration. She is currently completing “Acts of Naturalization: Immigration and the Early Novel,” a book that explains the aesthetic and legal significance of the novel for negotiating the settlement of foreigners and refugees in Europe and its colonies in the eighteenth century and Romantic era. With Alastair Hunt, Lida Maxwell, and Samuel Moyn, she is co-author of The Right to Have Rights (Verso Books, 2018). DeGooyer's research has been supported by grants and fellowships from the Radcliffe Institute for Advanced Study at Harvard University, the William Andrews Clark Memorial Library at UCLA, the Center for Religion, Law and Democracy, and the Social Sciences Research Council of Canada. At Willamette University, her teaching covers survey courses on Eighteenth and Nineteenth-Century British literature, as well as more specialized courses on the Novel, Transnational Literature, Empire, Law and Literature, Human Rights, and Feminist Theory. “The Poetics of the Passport in A Sentimental Journey,” Sterne, Tristram, Yorick: Tercentenary Essays on Laurence Sterne, ed Melvyn New and Judith Hawley (Newark: University of Delaware Press, 2015): 201-218. “Democracy, Give or Take?” Humanity: An International Journal of Human Rights, Humanitarianism, and Development 5.1 (2014): 93-110. Office Hours: On research leave 2018-19 academic year.